I have seen a large transition in the internet marketing world over the last 5 years. Back in 2003 I would take many calls every day from people asking me to get their company ranked high on search engines. As promised I would put an effective search engine optimization process together and the site would rank well. The issue I would speak mostly about even back in 2003, is that ranking high in Google isn’t going to achieve anything unless your website is conversion friendly. 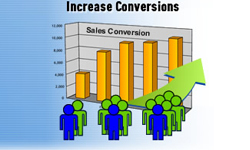 When I say, conversion friendly I am referring to understanding the true purpose for the website and then establish a proper sales funnel to bring your visitors through. There is a great deal of thought behind an effectively designed website. Each company has its own set of unique goals. For most companies, however, the ultimate goal is to either generate leads or make online sales. Here then is my list of 5 things you can do to improve website conversion. This is an issue that I have seen time and time again online today. A website is carefully planned and scrutinized in the design phase. Content is then integrated. What about carefully selected images that complement the content that is included in the site? Using imagery effectively can contribute significantly to keeping the visitor on the site and improving the websites bounce rate. Color has a significant effect on behavior. Choosing the right color palette for your website is incredibly important in establishing the proper mood, and displaying your product of service in the right light. There is a great deal of information available online today with regards to color psychology. A good start learning about color psychology is from our own blog. In our own studies we have verified that by adding a phone number in the top right of every page and a small contact form of every page leads from website visitors can go up by at least 5 times. Think about it – if you present users with a phone number and an accessible form on every page you are not giving users a roadblock to contacting you. Ask a visitor to dig around looking for a phone number, and mathematically your lead count will go down. Add the number and put a small offer above your contact form and you will receive more leads. Website visitors are not book readers. Most people do not want to commit to reading long pages of text — especially when you are first drawing them to your website. Remember when writing content on your site (and especially the ones that most website visitors ‘land’ on) that people want you to get to the point! Structure content in small chunks, use effective titles and provide point form notes as much as possible. Doing so will invite higher readership and a better bounce rate! Think about the time you were at the mall and walked passed a clothing store and saw a stylish outfit on the mannequin in the front. It caught your eye and you considered going in and checking out what the store has to offer. Or what about the electronics store that says “40% off all in stock flat panel screens.” We have all been enticed in some form or another by an offer that triggered us to investigate a store further. Websites are no different! When people are searching Google for information and click on your site, they want to know right away whether your website is what they were searching for. An effectively written call to action (usually written in 8 words or less) can help improve visitor ‘time on site’ significantly. In other words; at the very top of your homepage, do everything you can do make it clear what it is that you do by using a small headline and providing visual stimulation to keep the visitor on your site. Website traffic is a voluntary process. When someone comes to your site, remember that they can click off of it just as fast. Carefully think about why people are coming to your website and give them the opportunity to see who you are! I hope this list of very basic suggestions helps you in your quest to improve your site and the experience of your website visitors! My own experience in internet marketing tells me that if you follow these 5 simple suggestions, you will see a marked improvement in online activity. The next step – start getting people to your website – and that is a whole other topic! Everything will ultimately contribute to a strong call to action. I think every website has a sole aim and that is to create a sense of value with the site so as to pull their targeted users to convert into a genuine lead. 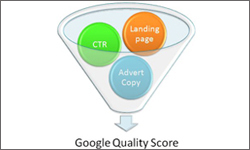 Searchers are looking for something targeted to resolve their search query. The challenge with web masters lies in catering to the diversified needs of each visitor. Sure, these points highly affect our net conversion figures. But from a seller’s point of view I think these points are somewhat an over-simplification!! What every point should be pinpointed with a strong persuasion element that pushes CTA. I think I’d go with the imagery and the “call to action”. Very important for a website to have a planned layout, which serves the end user with ease in navigation throughout the website and also the call to action – which is the emphatic way to grab the attention of potential clients. From my own experience, I have also found that if a website wants to be successful in promoting the sale of a product or service online, a heading or caption that highlights the benefits of the product or service must be clearly outlined. This heading aimed at the end user must be able to generate an awareness and interest in the product and must motivate the user. Most people fail to recognize this very important aspect website usability. Looking into web content, I think consistency and frequency throughout the site (on every site page) is important. This can create an impression on visitors that services or products or even the website itself is relevant and purposeful. I find bullet form writing, wherever possible, is always more preferable. People are busy and would prefer getting more information at the shortest possible time. After all, we only get 7- 8 seconds to catch a user’s attention. Adding titles and using bullet form writing makes easy reading and is the ideal recipe for higher readership and a better bounce rate. As you have rightly pointed out, technological Innovations have opened up several online marketing avenues giving an immense boost to our existing business. But what you failed to mention here, however, was that there also exists appropriate tools to measure the success of these online marketing efforts, namely: web analytics. Hello DJ, what you have picked are points that will perfectly balance user goals and business goals. 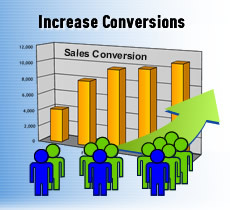 By following these steps we can improve website conversion. Thanks! Keep going. I agree with you DJ. As Nielson Media research has revealed, over 85% of websites are found through search engines. If users are not induced into making a purchase due to a lack of proper website guidance, the very purpose of the site is defeated. It is comparable to putting up a costly, attractive and beautiful bill board in the middle of the desert. Yes DJ.We can take marketing tactics from traditional advertising media. But with online marketing we have ample opportunity streamlined by technology say -PPC,SEM,email, blogs, video submissions and much more. We need just to pick them. We can reinvent or borrow from print industry for BETTER online information! What every website’s end goal is to enhance conversions. We must have strong elements that always take control of our visitor’s interaction. I think strong thorough research in our field will enable us to find our niche marketing points. And that triggers conversion!!! Also something as simple as visible links, preferably blue. You are absolutely right DJ. Most people fail to realize that SEO ranking is not an end in itself. If your post helps enlighten webmasters on the very purpose for which the site was created, you will have done a great service. Thanks for your valuable reminder. You are right Hayden. We can borrow a large amount of already learned knowledge from the print industry. They already have years of experience in design, setup, and use of content on printed material. Why reinvent the wheel when you dont need to!? You’re damn right,these are strong elements which measure our online performance. A website has to provide a preview via landing pages or thru an impressive, genuine window display similar to older traditional methods that we see in magazines etc.